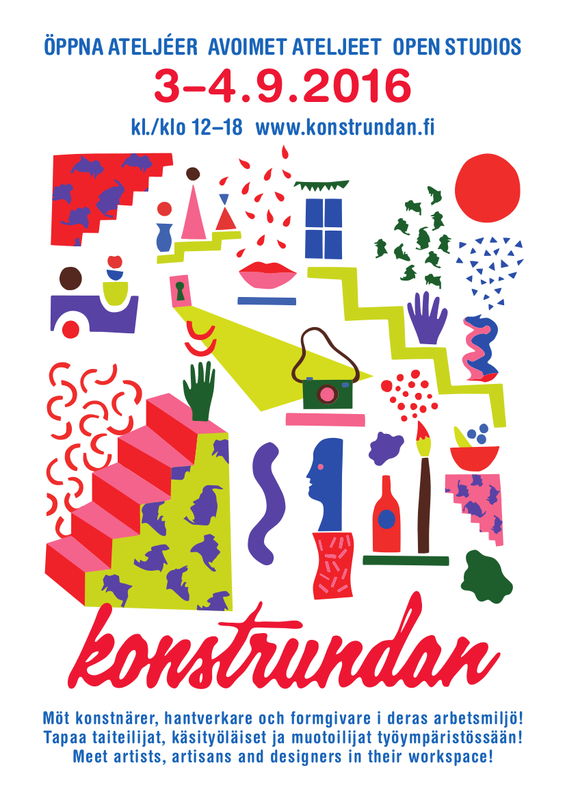 Art Friday 2.9 | Open studios 3-4.9 12-18 p.m.
For the ninth year in a row the Art Circuit (Konstrundan) opens the doors to artists, craftsmen and designers along the West and South coast of Finland. The Art Circuit offers you the opportunity to get to know art and the people behind the art in the Swedish-speaking regions of Finland. You can see anything from visual art to handicraft, from photography to video art in the environment that the art is being produced in. I will participate in Konstrundan this year. I show my art in Torsholma, Brändö. Why not in Mariehamn? Every summer me and my family spend time in Torshoma as my husband is born and raised there. It is like our second home. Together with my sister-in-law I will show you how I produce art and I have a selection of art for sale at the event. My visitors will get a special offer in my webstores Walliyer (Scandinavian Minimalist art prints) and my own webstore where you find my original art. Welcome!